OnlineDisputeResolution.com is a development of Resourceful Internet Solutions, Inc. (RIS). RIS has flagship web sites of Mediate.com and Arbitrate.com, the world's most visited dispute resolutionweb sites. RIS and Mediate.com have been in business since 1996 and have been well recognized as leaders in the dispute resolution field, including receipt of the American Bar Association (ABA) 2010 Institutional Problem Solver of the Year Award. RIS offers Caseload Manager, the world's leading cloud-based ADR and ODR case management system. 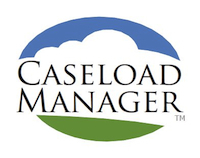 We work with you to optimize your use of Caseload Manager to meet your unique data and case management needs. Everything is included at a set price: consultation, training, our industry leading integrated case management platform, updates and ongoing technical support. You can join Mediate.com as a Premium Member and participate in any or all of our dispute resolution directories at www.mediate.com/Membership.